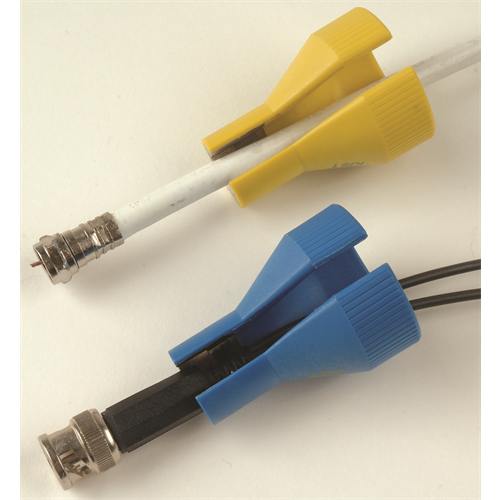 Our Finger Protector and BNC Wrench kits protect your fingers when working with F-Connectors or BNC connectors in packed spaces. Ideal for working in rack systems or panels, they prevent finger nicks and cuts. The conical shape of the protector provides rotational leverage for tightening or loosening connectors. The wrenches can also be used as press-fit tools for installing connectors onto cable. They are packaged as a 2-pack kit of one BNC wrench and one F-Connector wrench.